Our full manufacturing facility and in-house micronizing capabilities allow for supply of a diverse range of materials for use in the Food, Beverage and Nutritional marketplace. Cosmetics & Personal Care supplies Botanical Extracts (liquids and powders), Nutritive Oils, Certified Organic products, and Special Excipients and additives to the Personal Care, Cosmetic, Nutritional Supplement, and Food Industries worldwide. 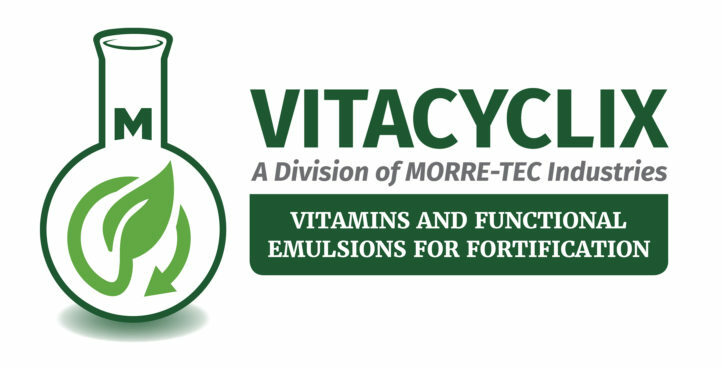 Vitacyclix, a division of MORRE-TEC Industries, provides and develops nutritional products and vitamins derived solely from natural ingredients. This division develops vitamins, natural colors, food additives, pet care and nutraceutical products of the highest quality. 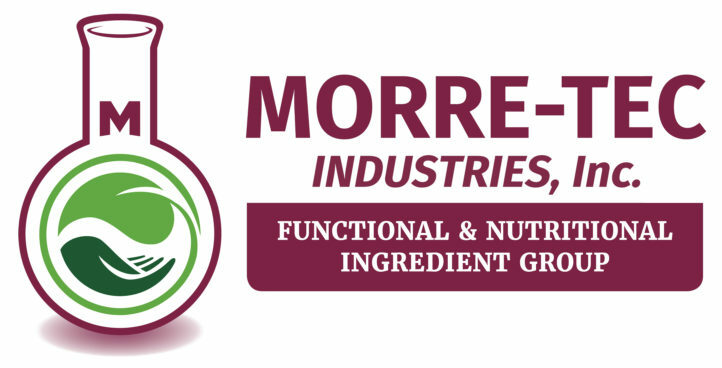 MORRE-TEC Industries has recently initiated a new Business Unit focusing on the Functional & Nutritional Ingredient Group (FUNU). This new industry group supplies minerals, water soluble liquid and powdered vitamins, high potent vitamins, fruit and citrus pectin, fibers-proteins, Phytosterols, nutritive oils and fortification vitamin/mineral blends to the dairy nutritional and food industries. Repackaging Services Corporation provides blending, grinding, and repackaging services for non-hazardous and food grade chemicals and natural products. With over 30 years experience in Bromine Chemistry, and expertise with both organic and inorganic compounds, we are known in the industry as one of the most diversified suppliers of Bromine Compounds, offering kg to multi-ton lot quantities. Jedco Adhesives has been producing specialty adhesives for over 40 years. Our water and solvent based adhesives provide solutions for bonding difficult surfaces in a variety of applications in packaging, plastics, foam, non-wovens, marine, and other industries. As a family owned business for 30 years, MORRE-TEC Industries prides itself as being a key supply chain component satisfying our customers many needs. Our expertise in sourcing, packaging and logistics allows us to provide a complete solution to complex sourcing problems! This division excels in supplying Natural and other specialized components for specialized cosmetic formulations. Our technical expertise of over 30 years has enabled to succeed in the Chemical Intermediates markets. The applicable industries for these intermediates reach a wide range of markets including Pharma, Biotech and other Chemical industries. Our Intermediates are used in the Pharmacy, Biotech and Industrial Markets.